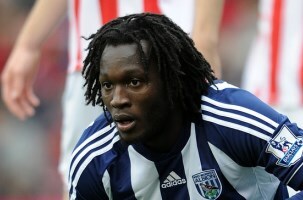 Reports are out claiming that West Bromwich Albion striker Romelu Lukaku hopes to return to parent club Chelsea for next season. The 20 year old Belgium international striker has been a revelation for Albion this term. “I’m very happy with how I have performed this season, but I hope to do better next season. I would like to make a step higher than West Bromwich. “I will do preseason with Chelsea at least.